Possible Name Change: Bold 9800 (slider) may instead launch as the BlackBerry Torch 9800; Should RIM add a new product family? Holding the BlackBerry Torch or Bold? We've already seen plenty of pre-release photos and videos of the RIM's upcoming BlackBerry slider device, which according to the operating system's about screen pegs the device model number as the BlackBerry 9800. We've even seen the device carry the Bold branding on the hardware itself (stamped Bold onto the back of the device beside the camera), which pretty much makes it a no-brainer the slider would be marketed under the name BlackBerry Bold 9800. However, the BlackBerry Bold 9800 name isn't a done deal just yet. Apparently RIM has been debating whether or not they should launch the slider as part of the BlackBerry Bold family or instead launch a new product family for the slider. The new name? BlackBerry Torch. We've received multiple tips on the 'ole CrackBerry hotline relaying word that the new slider from RIM, which will launch with BlackBerry 6, may ultimately carry the BlackBerry Torch name rather than Bold. A little digging confirmed the Torch name is being seriously considered (though it doesn't seem like the decision is quite final just yet). I wonder if RIM's affair with the Torch name came about when they acquired Torch Mobile (the company/team responsible for the new WebKit browser) or if it was the 2010 Olympics that inspired it? While the change of branding decision may still be a bit up in the air, we have heard that some slider devices are already being manufactured down in RIM's plant in Guadalajara, Mexico carrying the Torch branding and a quick WhoIs search on the BlackBerryTorch.com domain name does reveal that Research in Motion registered it back in April. In other words, this isn't random speculation. CrackBerry Poll: So what do you think? Should RIM introduce a new product family for the slider form factor? As it stands, the Pearls are narrow devices featuring SureType, the Curves are the entry-level full qwerty, the Bolds are the flagship full qwerty, and the Storms are full touchscreen devices. With a new sliding form factor, RIM could take this as an opportunity to introduce a new brand name that would hopefully catch a lot of buzz and attention when the device hits (especially considering it will be the first device to get BlackBerry 6 and the new WebKit browser). At the same time, RIM just scrapped the Tour brand in an effort to consolidate and simplify the product families (though in that case it was arguably more redundant to the Bold family since it was essentially a flagship full qwerty). And if RIM introduces the BlackBerry Torch brand for the BlackBerry 9800 slider, what family of product to they put the BlackBerry 9670 (full qwerty clamshell) into. Decisions, decisions. 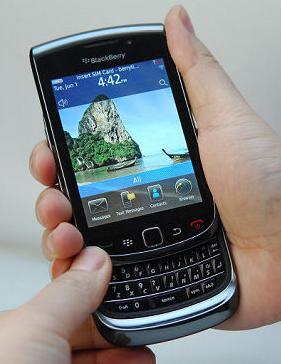 Whether it be the BlackBerry Bold 9800 or BlackBerry Torch 9800, I just want to see this device hit the market asap. Cast your vote above and sound off with your thoughts on the BlackBerry Torch name below!